Environmental Impact Assessment (EIA) is a policy and management tool for planning and decision-making. 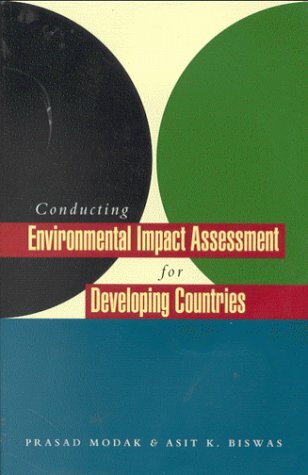 Conceived in the 1970s after the United Nations Conference on the Environment in Stockholm, EIA assists policy makers and the general public in identifying, predicting, and evaluating the environmental impacts and consequences of proposed development projects, plans, and policies. The outcome of an EIA study helps to decide whether a given project should be implemented and what form it should take. This volume includes an introduction to EIA, and explains its processes, methods, and tools. It discusses the implementation of specific environmental management measures and the need for their constant monitoring. The authors also consider the writing and reviewing of EIA reports and the process of translating and communicating the findings of EIA studies to decision-makers and the public. The book also examines emerging trends in EIA and concludes with a number of illustrative case studies.